'All In Color for Four Dollars' page 1. The comic shop is based on Fantasy Comics in Tucson, Arizona. 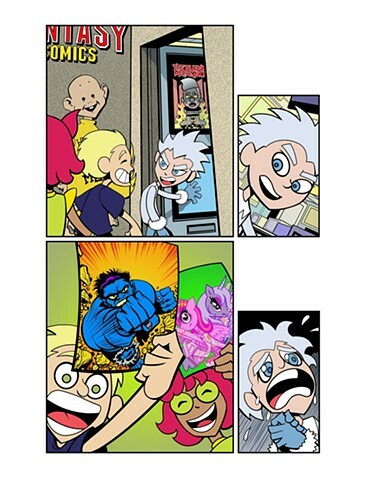 There's also a callback to 'The Burning Metronome' series, The Yellow Kid, Jim Salicrup as a gnome and two fake comics covers, so this page ended up taking days to do.